You've got to hand it to 2K games, they've really thrown their weight behind Borderlands. It was an unproven and new IP that stopped halfway through development and changed it's whole graphics engine, that had to have made them maybe just a little nervous. Of course there was no reason to be, in the end the game got some very nice scores from the critics and sold pretty well! So what does the public get for all of this? A ton of DLC of course! Developer Gearbox has pumped out a steady stream of quality downloadables rivaled only by the likes of Fallout 3: The Zombie Island of Dr. Ned, The Secret Armory of General Knoxx, and Mad Moxxi's Underdome riot were all well received. 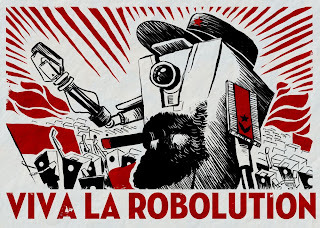 That shouldn't change much for the newest Borderlands adventure, Claptrap's New Robot Revolution. It seems there's an uprising of Claptraps led by the nefarious Ninja Assassin... bot... and you've gotta stop 'em! It sounds good and looks like a lot of fun. But... I have to admit that I never really got into Borderlands. It just seemed way too grind-y for my tastes. So I tip my hat to both developer and publisher for having the guts to not only put out a new property, but for backing it and standing by it. Yes I tip my hat- but will not empty my pocket. Like its add-on predecessors, Claptrap’s New Robot Revolution offers extensive co-op integration that seamlessly melds single and multiplayer experiences, and incorporates the most explosive role-playing shooter fun imaginable. 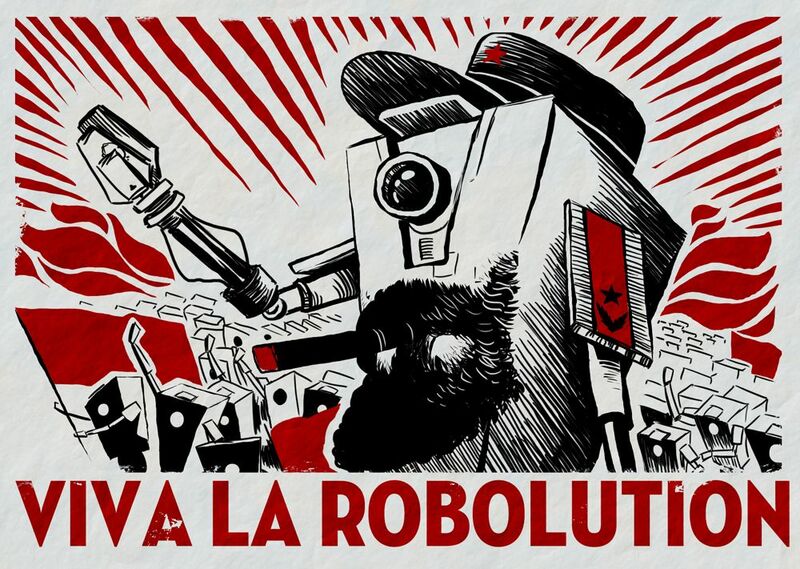 Claptrap’s New Robot Revolution will provide more than 20 new missions to loot and tons of fresh enemies to blast through, including original boss battles, waves of homicidal Claptraps, well-armed Hyperion soldiers, and local creatures that have been Claptrap-ified - including crab-traps, rakk-traps and skag-trapps. Fans can earn an additional 10 skill points for a total of 71 available skill tree points, and three more backpack slots for additional blood-yielding weapons and many hours of enjoyment.